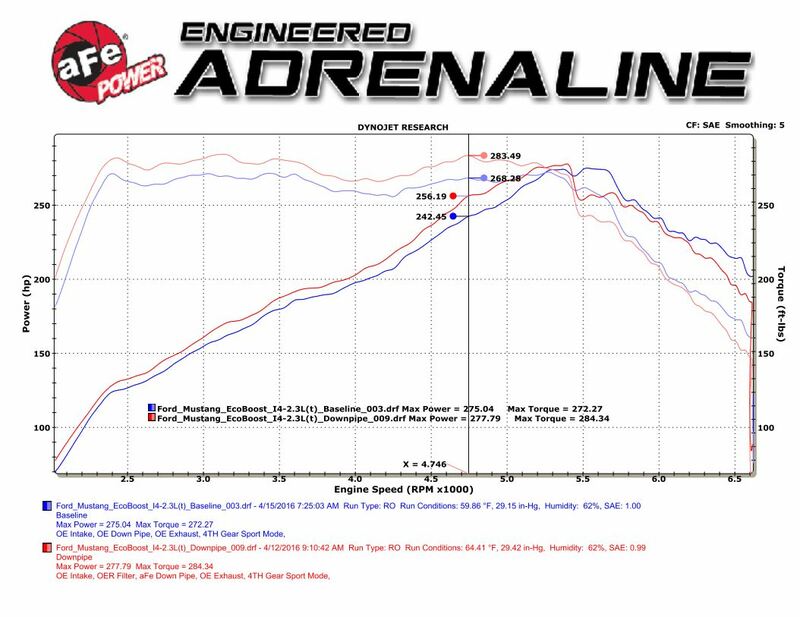 aFe POWER has developed products for Mustang enthusiasts who want the best. 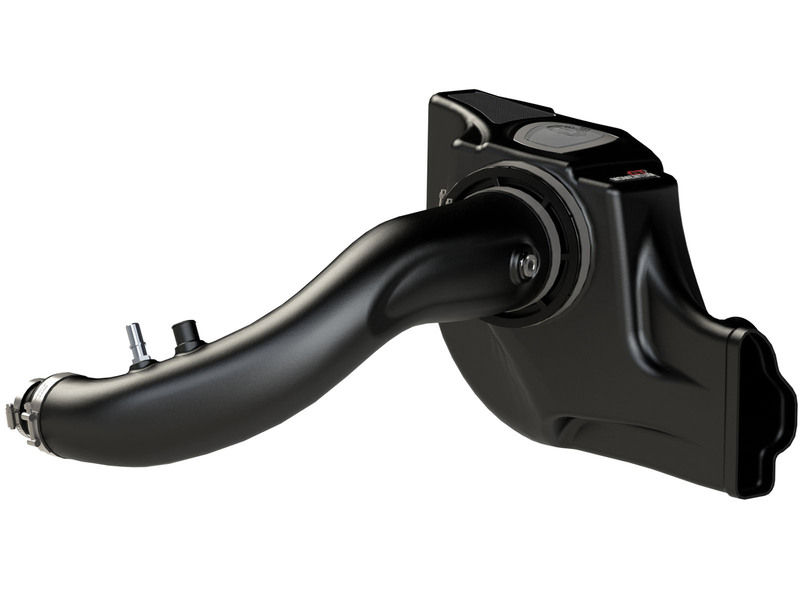 From our cold air intake systems to cat-back exhaust systems, suspension and more. 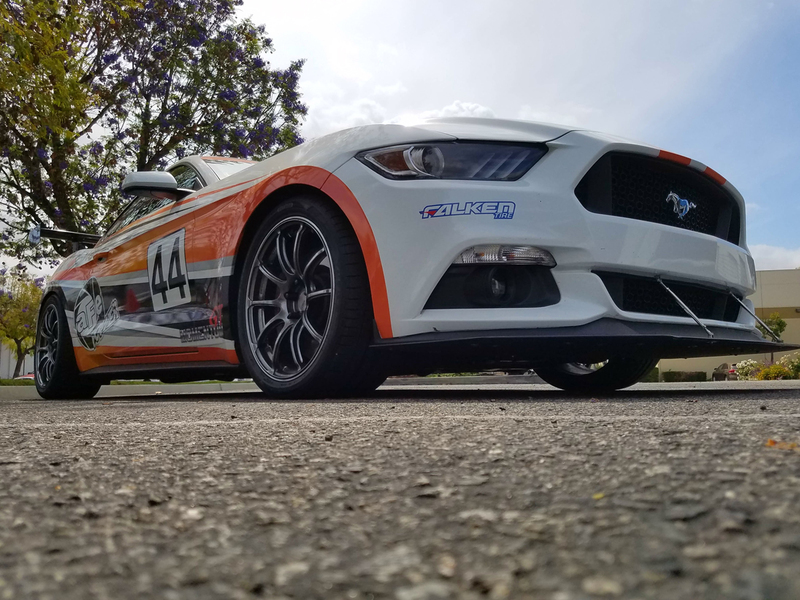 We have spent countless hours testing our products for durability and performance, whether on the rough urban streets or the winding corkscrew at Laguna Seca, you can bet aFe POWER has the perfect setup for you. 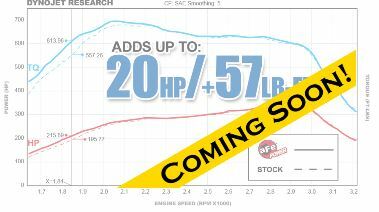 We have developed upgrades for the EcoBoost, V6, and GT Mustang. 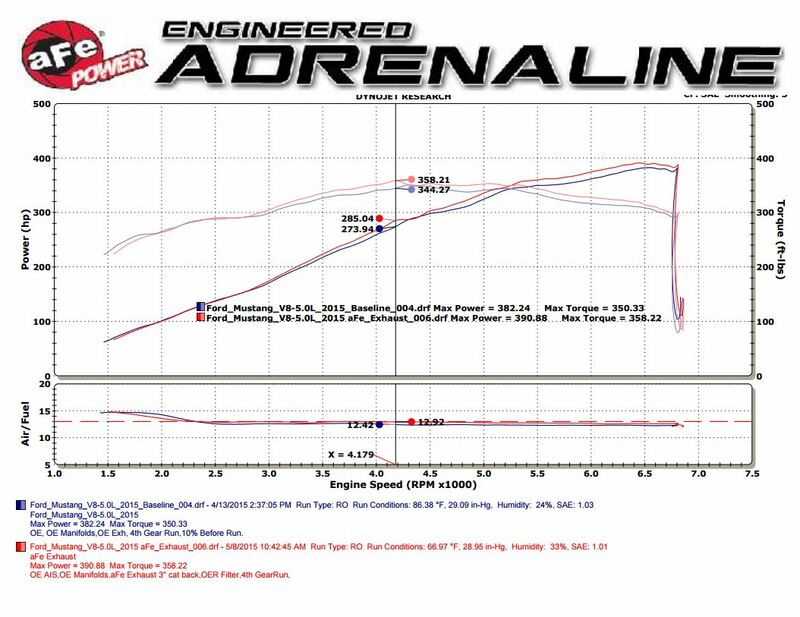 All of our products will reduce 0-60 times, improve cornering, or increase horsepower and torque. It doesn't matter if it's a daily driven vehicle or a weekend road racer, aFe POWER has the packages and products to meet your demands. Want you feed more power into your Mustang, but don't know where to begin? 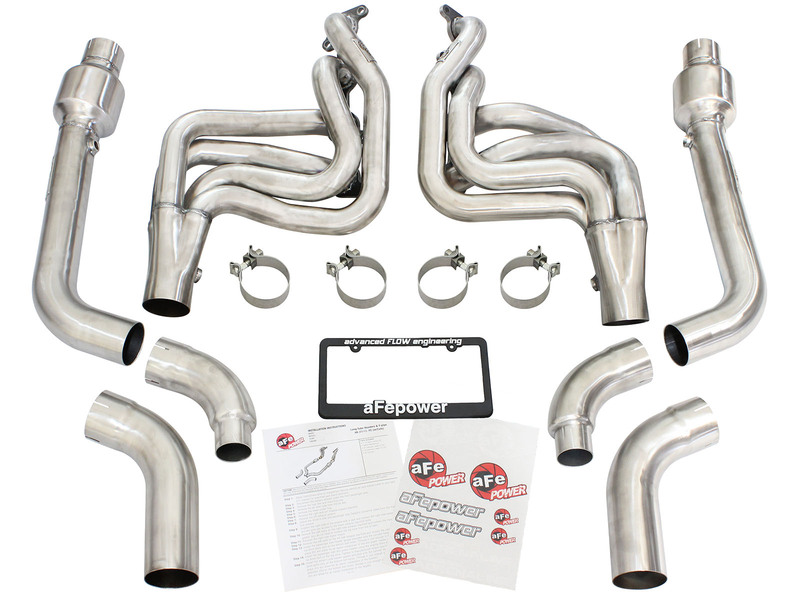 Start with improving how it breathes, aFe POWER has a variety of intake kits to maximize horsepower, torque and throttle response. 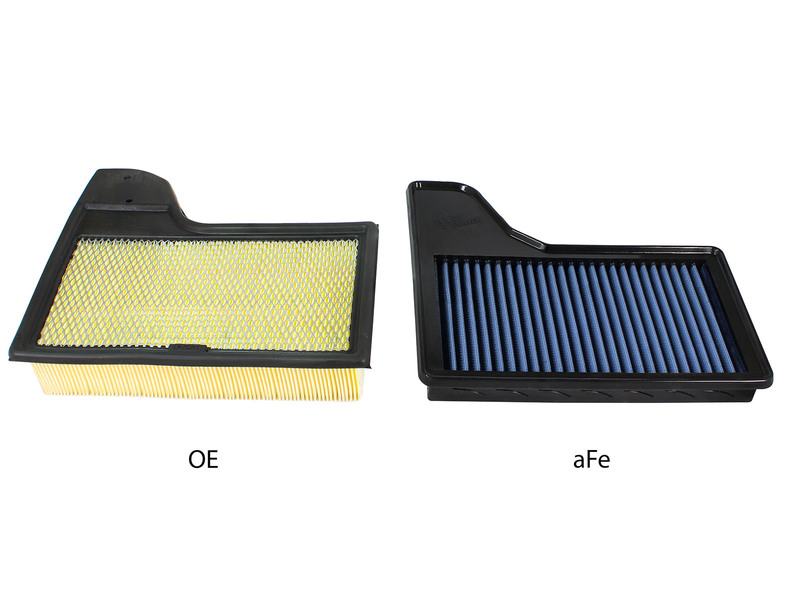 High flowing air filters help increase air flow while protecting your engine from harmful debris. 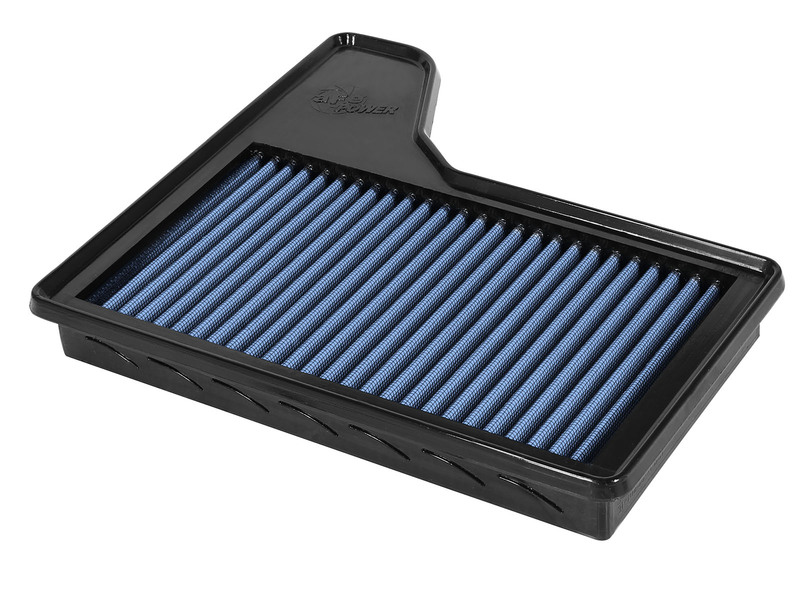 Our most popular air filter the Pro 5R provides maximum airflow perfect for the street and track. Our Pro Dry S is the most convenient air filter requiring no oil for maintenance which is ideal for the street or dusty conditions. 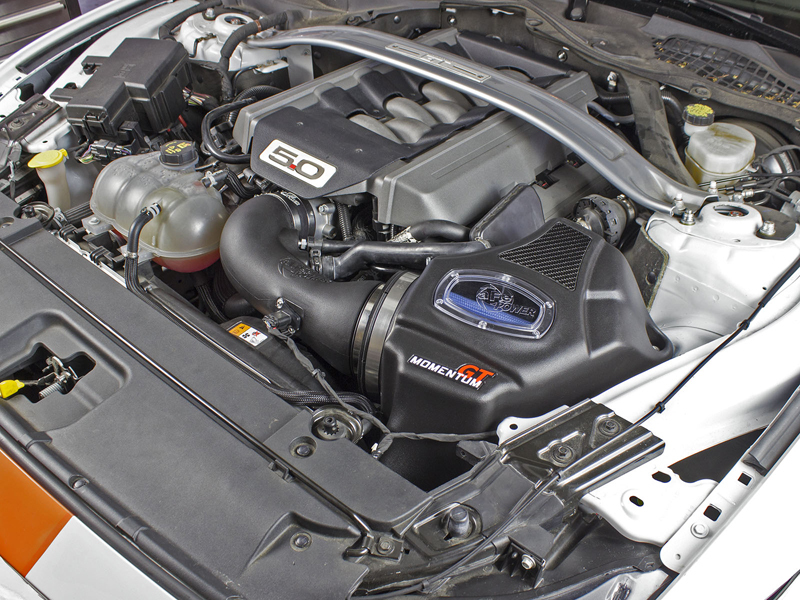 Our Momentum GT intake was developed and tested to ensure maximum performance for the Ford Mustang GT S550. 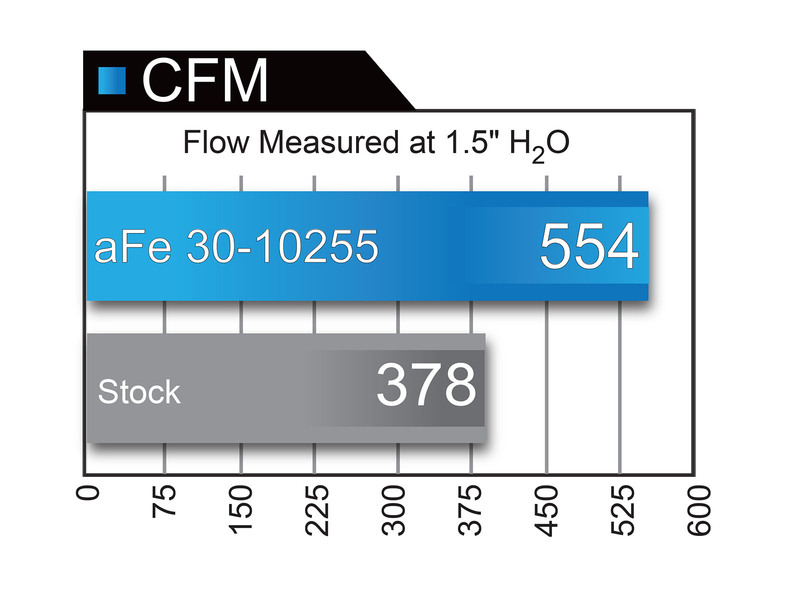 Providing the correct Air to Fuel ratios was critical for making power, months of testing resulted in developing an intake that doesn't require a tune to increase performance. Using the latest 3D scanning technology and CAD software available provides you an exact OE fitment. The large roto-molded one piece housing allows us to use a large 8-inch tall inverted filter, designed for this platform for improved performance and protection. Stealth like performance, our Momentum GT intake for the Ford Mustang GT delivers a quiet deep rich tone during aggressive acceleration. The large clear sight window makes filter maintenance easier without disassembling the intake. 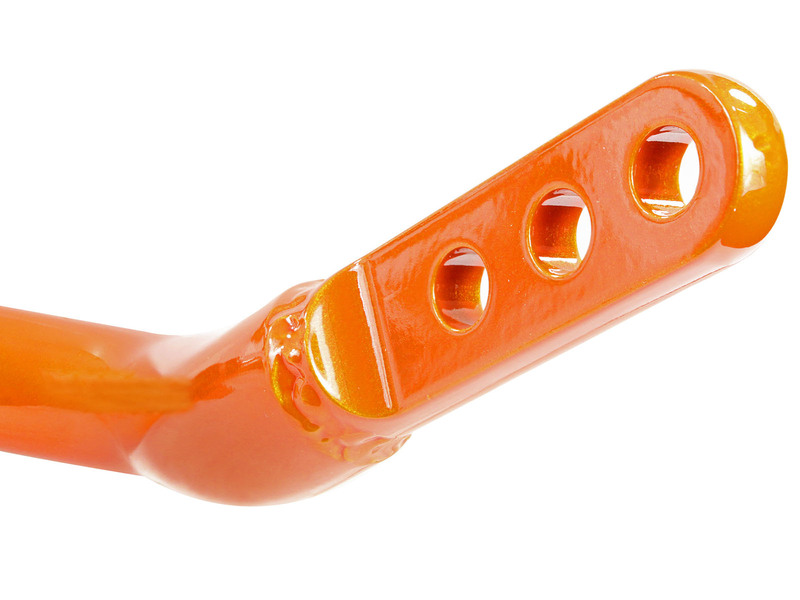 Sleek factory looking roto-molded plastic design resists against heat soak for consistent performance. 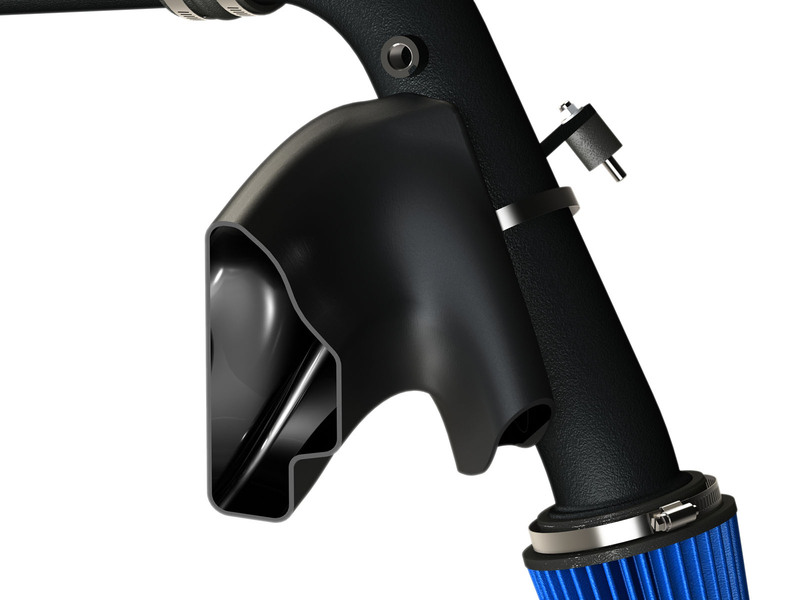 Integrated molded air scoop re-uses the factory location to draw in cold air from the outside, for a denser air charge. 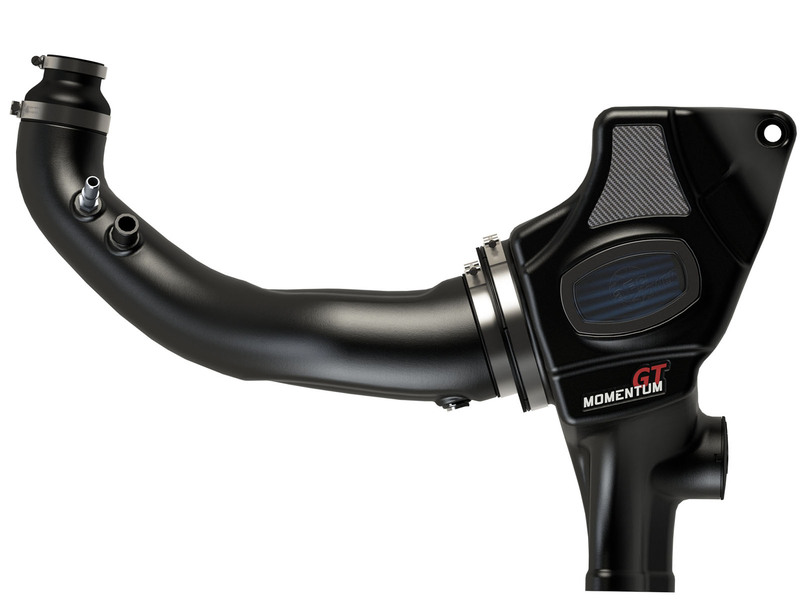 The Momentum GT Cold Air Intake will soon be available for the 2015-2016 Ford Mustang EcoBoost. The intake was developed from the ground up using the latest 3D scanning technology and CAD software available. 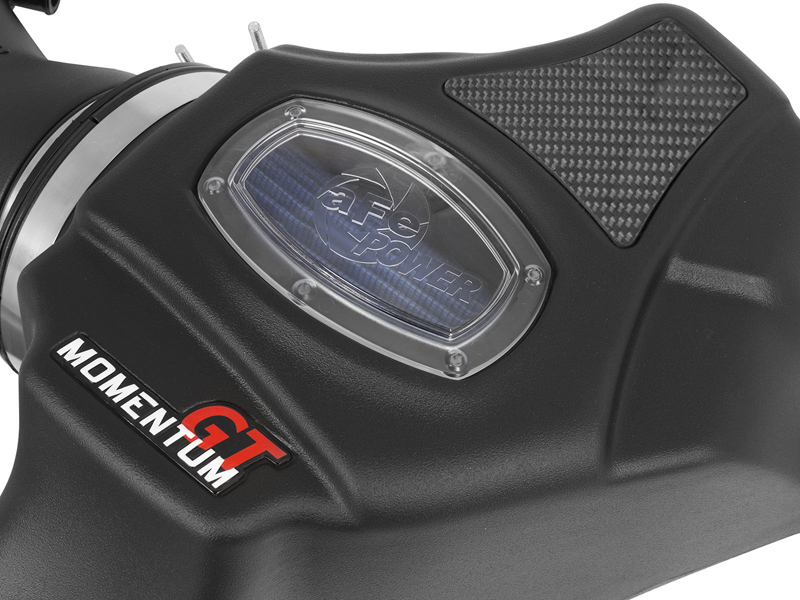 Our engineers maximized airflow by creating a larger air box designed around a large 8-inch inverted air filter. 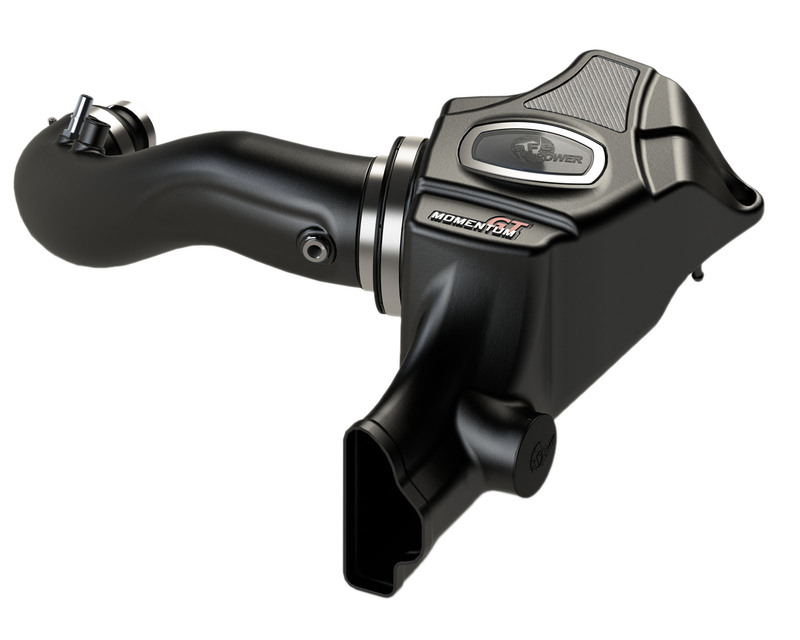 The Momentum Cold Air Intake for the Mustang EcoBoost delivers quiet performance but provides an aggressive tone when spirited driving. Features include a large sight window, making it easy to check the filter for maintenance. An integrated air scoop is molded into the airbox and feeds cooler air directly into the air filter, providing the 2.3L 4cyl EcoBoost engine with more horsepower and torque. 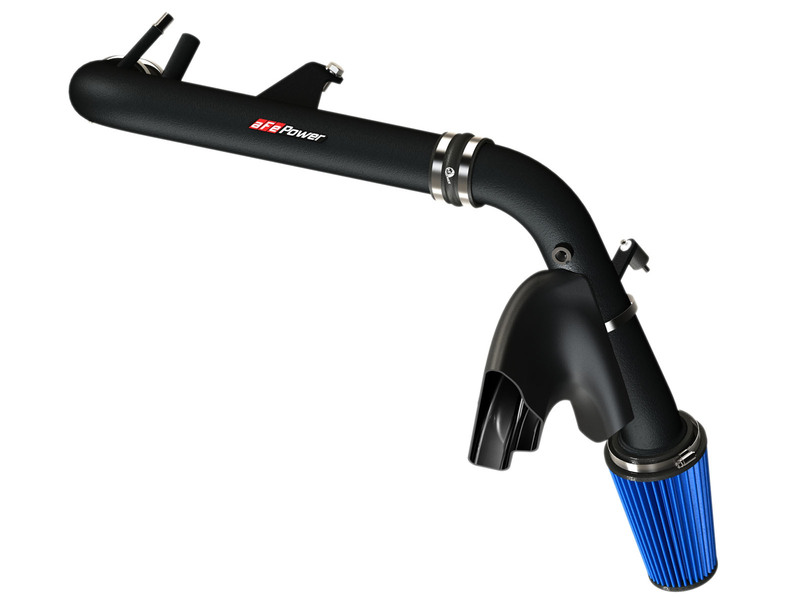 Our Magnum FORCE Stage-2 Cold Air Intake System has been designed for the new 2015-2016 Ford Mustang EcoBoost. From the two-piece mandrel bent intake tube to the roto-mold intake scoop, our intake will be an easy install without hassle. 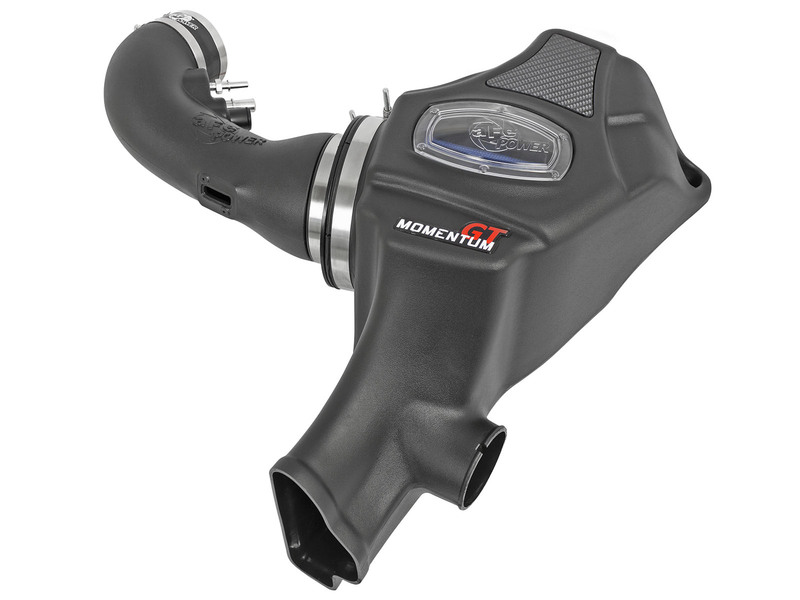 There is no better way to dress up your engine bay and increase horsepower than our Magnum FORCE Cold Air Intake System. Tall 8-inch conical air filter provides 360 degrees of increased airflow. You can choose from our Pro 5R filter for maximum air flow or our Pro Dry S for maximum convenience and oil free design. Our filter is located behind the bumper to ensure the coolest air charge possible, while preventing any moisture from being sucked in. Next upgrade you may consider is your exhaust system. Upgrading your exhaust system will completely change your driving experience. 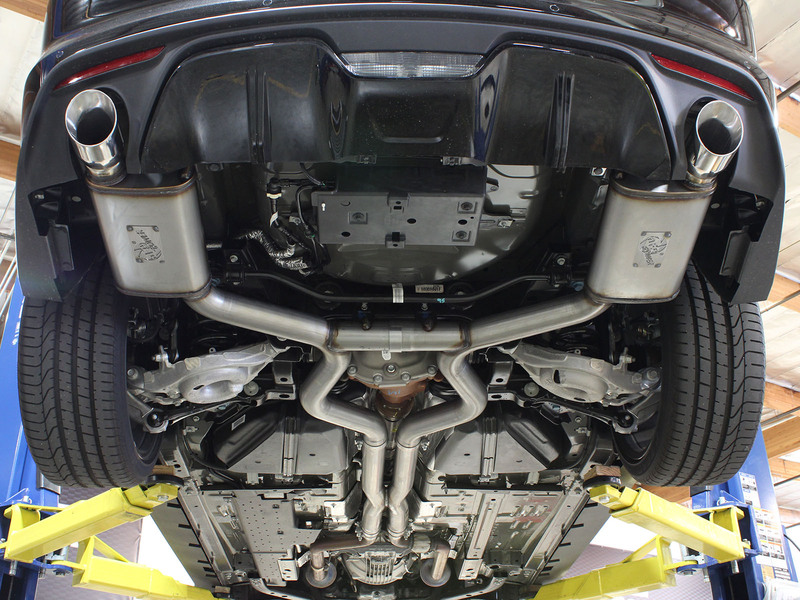 aFe POWER has engineered exhaust systems for both the Ford Mustang GT and Ford Mustang EcoBoost. 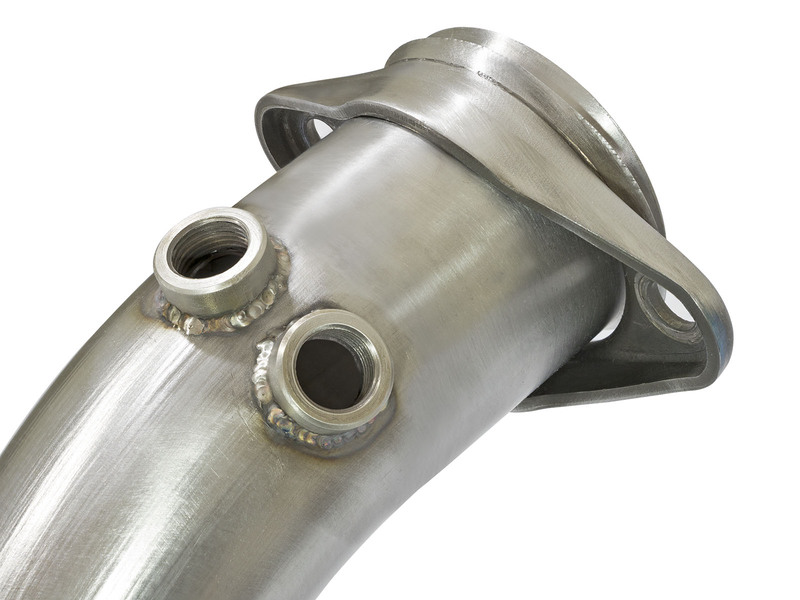 Mandrel bent 304 stainless steel tubing helps create a smooth path for exhaust gasses to flow through. 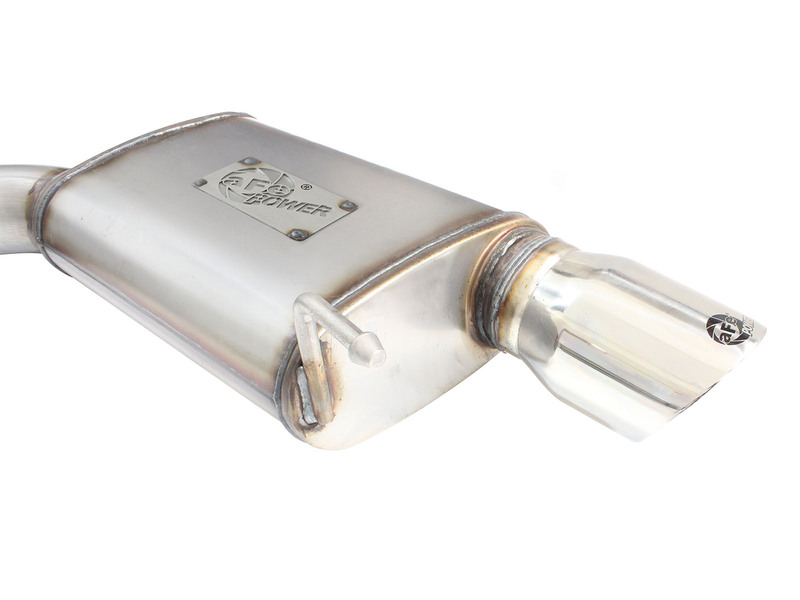 Dual high-flow mufflers provide an aggressive sound without restriction. X-Pipes balance and distribute exhaust pulses traveling through the exhaust system to reduce drone. Not only will you gain impressive sound, but your S550 Ford Mustang will benefit from improved horsepower, torque, and throttle response. 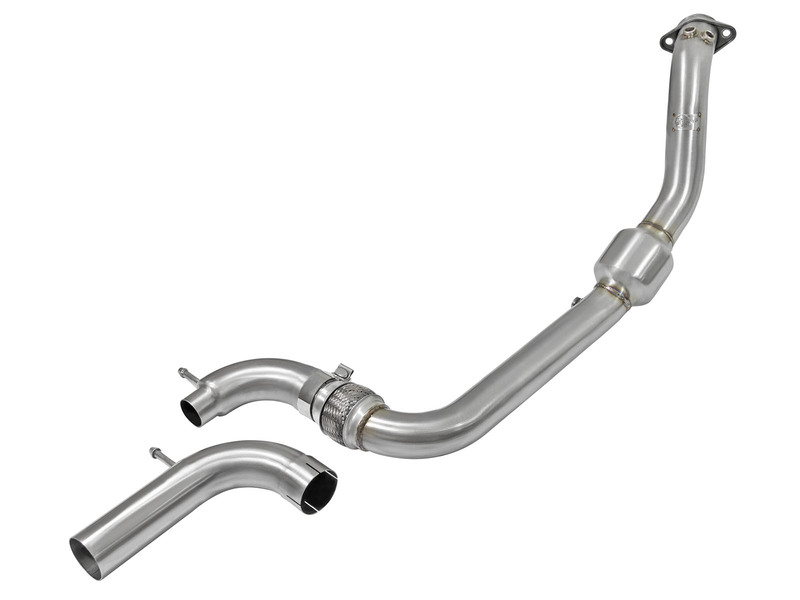 The Mach Force-Xp Exhaust Systems are designed to compliment our aFe POWER Twisted Steel Headers / Down-Pipe, both are available with or without catalytic converters. 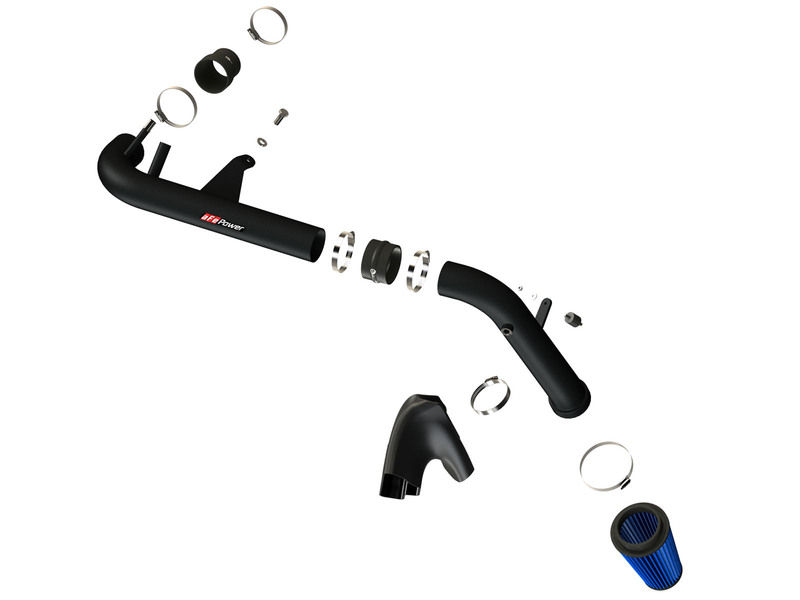 Mach Force-Xp Cat-Back Exhaust System for the Mustang GT has many features. 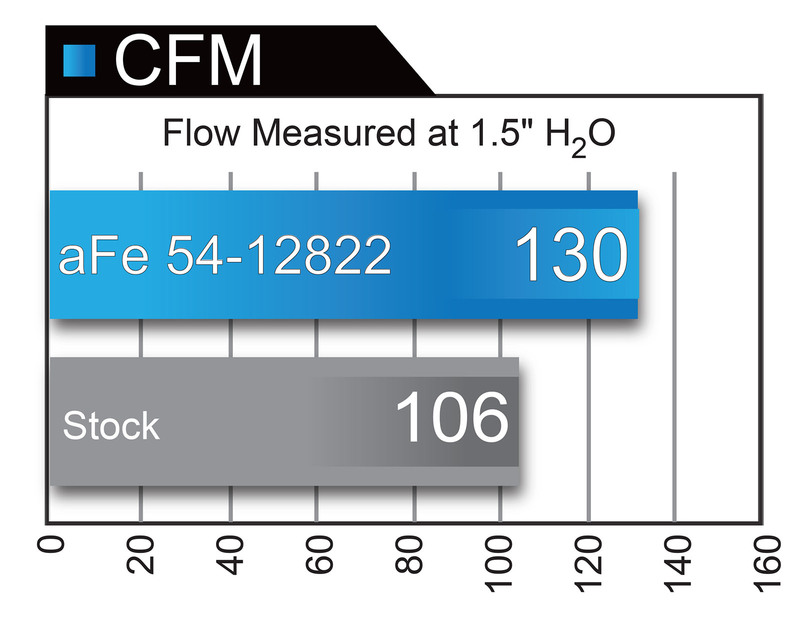 OE style flanges prevent leaks and dual free flowing straight through mufflers enhance sound. Our exhaust is perfect for stock and modified Mustang GT's. Mustang owners who want a deep and throaty exhaust note, this is exhaust system you want to wake up that Coyote 5.0L V8 engine. 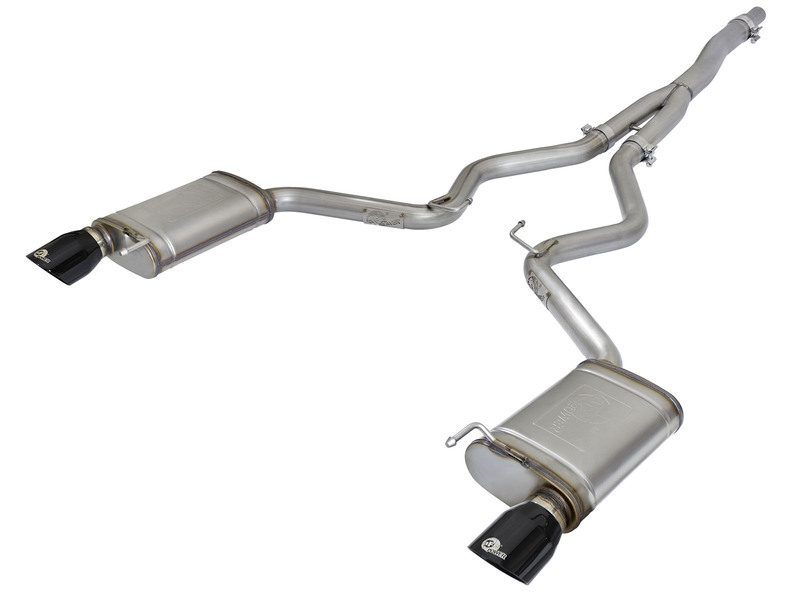 Our Ford Mustang GT exhaust system also features an equalizer balance tube. The unique tube evenly distributes exhaust pulses helping minimize drone, giving you that impressive muscle car sound. 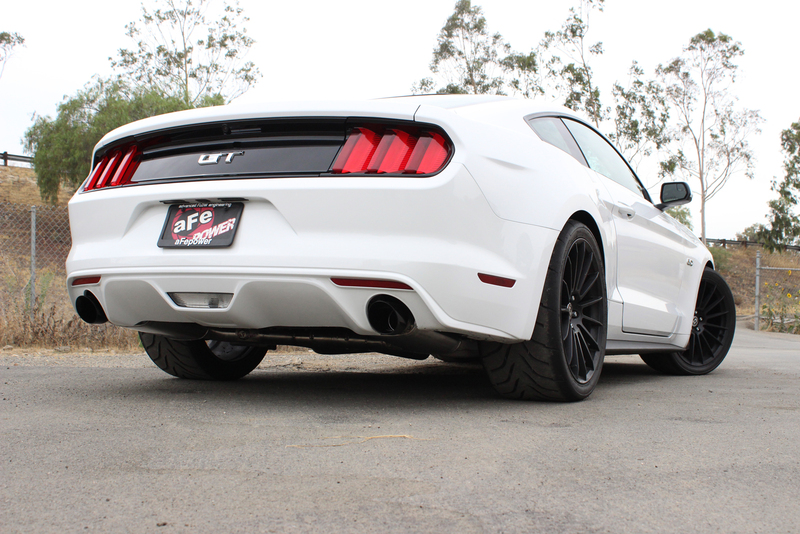 aFe POWER’s Ford Mustang GT exhaust system adds performance you can hear and feel. Factory exhaust manifolds are heavy and restrictive. 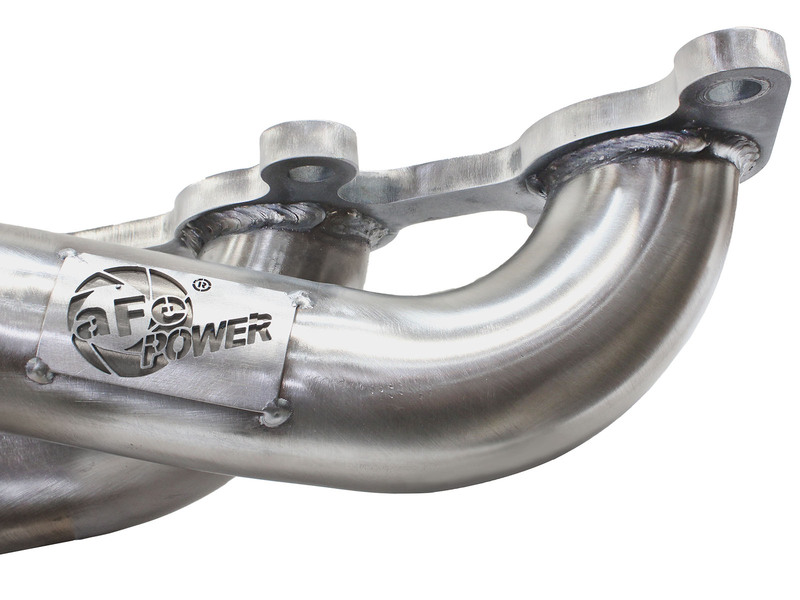 aFe POWER replaces the stock manifolds with our Twisted Steel Headers for the 2015-2016 Ford Mustang GT S550. The 4-1 formed collectors will decrease turbulence and increase exhaust velocity for more power. 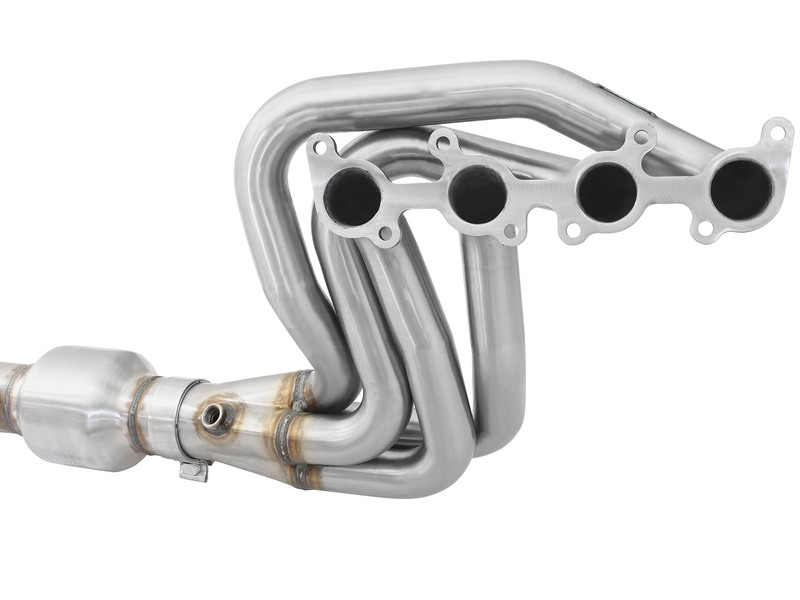 To achieve maximum air flow our headers use dual 400 CPSI 48 state legal catalytic converters. 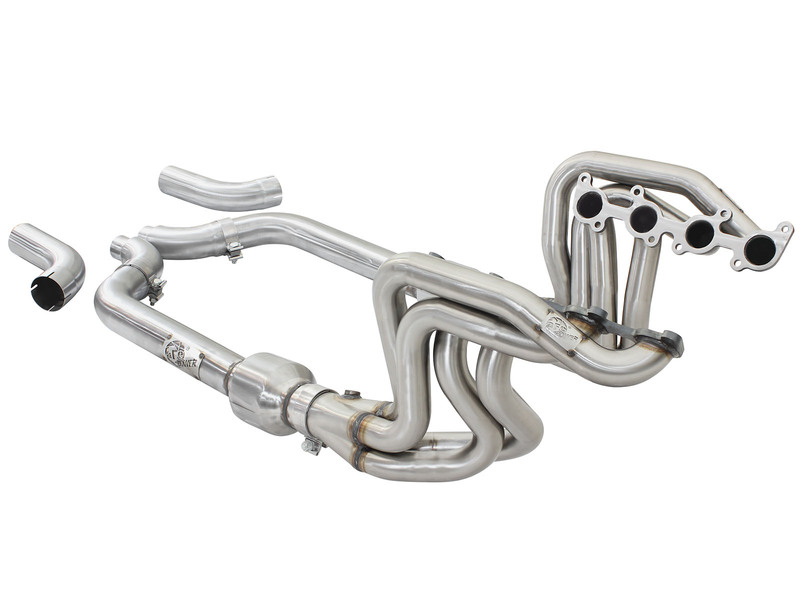 aFe Twisted Steel Headers for the Ford Mustang GT are constructed out of 304 stainless steel mandrel bent tubing for exceptional durability. 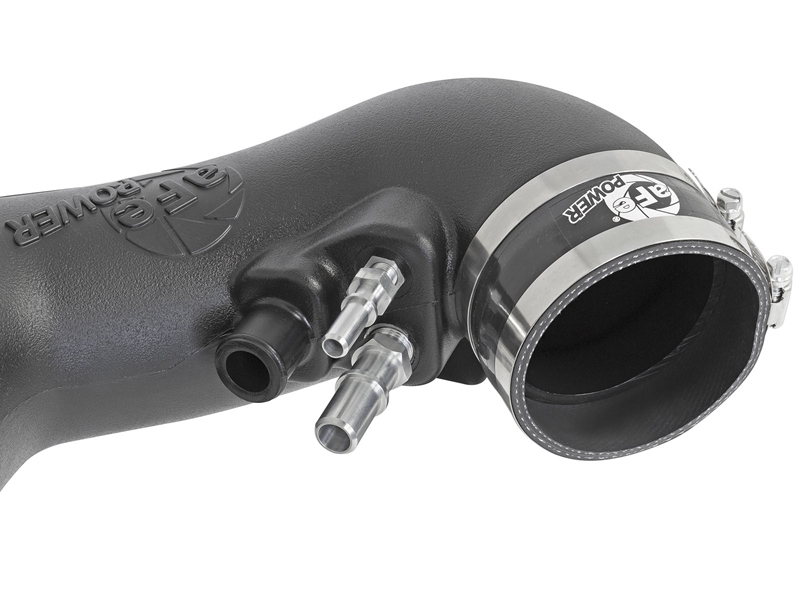 The stock Ford Mustang EcoBoost down-pipe restricts power. To address this issue, we designed the Twisted Steel Down-Pipe to increase horsepower and torque. 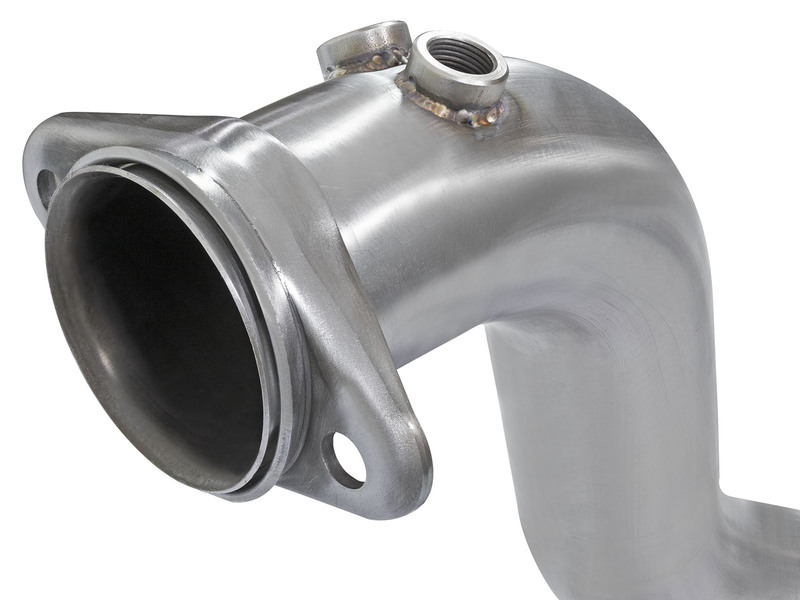 Our down-pipe is 100% TIG-welded for maximum strength. Constructed out of mandrel-bent 3″ 304 brushed stainless steel tubing to ensure a perfect fit and leak-free seal. 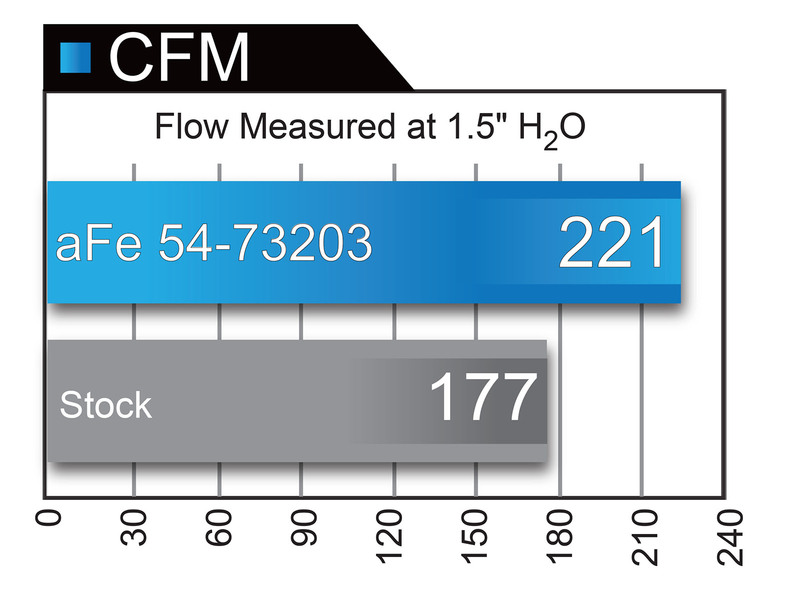 Maximum flow is achieved through a high flow 48-state legal catalytic converter. 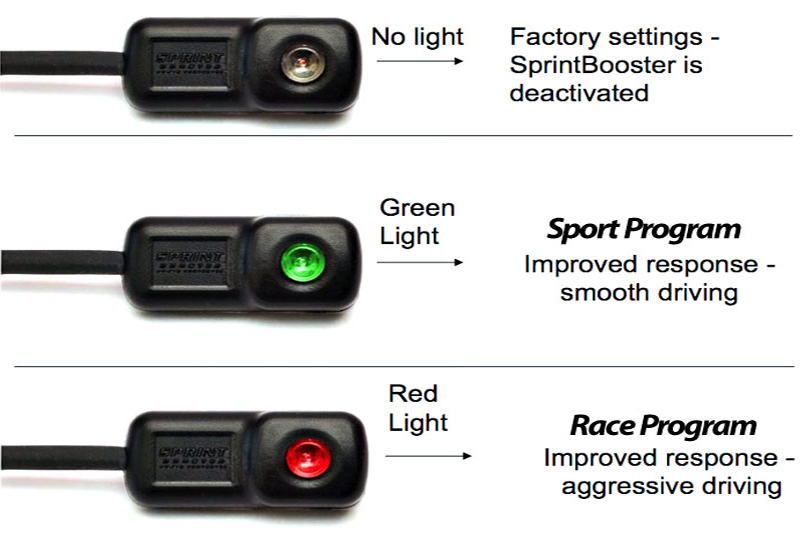 A race version is also available for track only EcoBoost Mustangs. 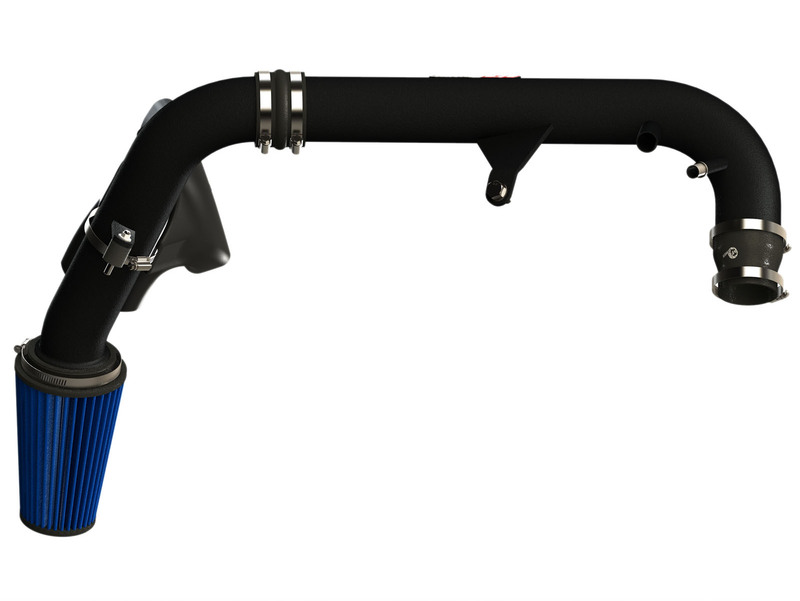 Our Mach Force-Xp Exhaust System was designed to enhance sound and performance on your Ford Mustang EcoBoost. 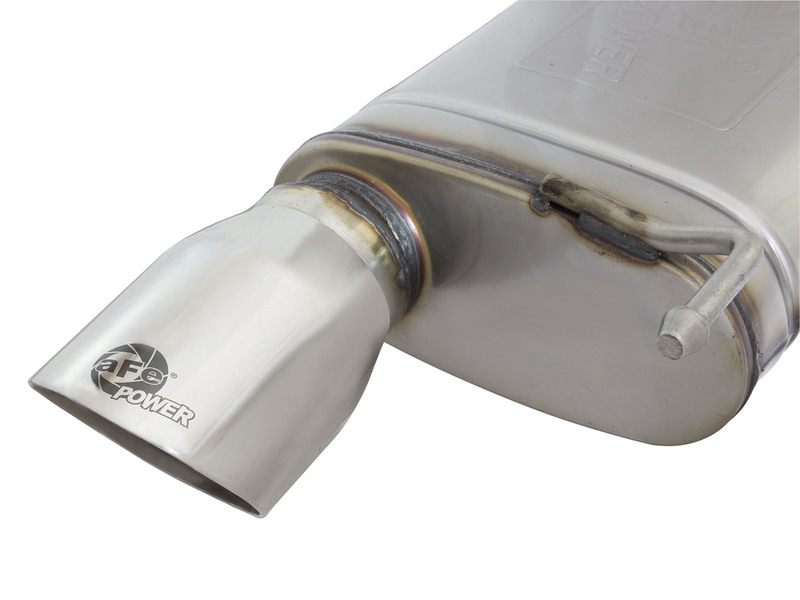 From the OE style flanges for a leak free seal to the brilliant exhaust tips, our exhaust system combines style and performance. 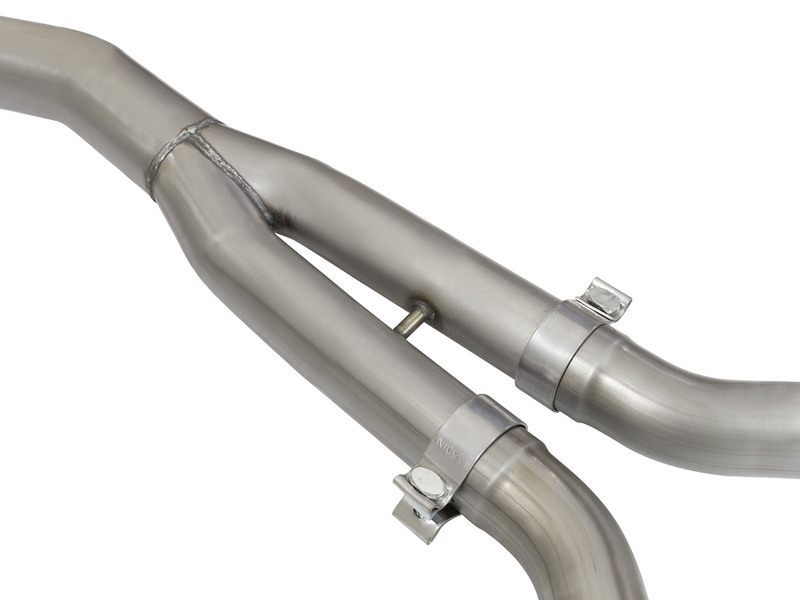 Mandrel-bent 304 stainless steel tubing and free-flowing mufflers provide aggressive sound. 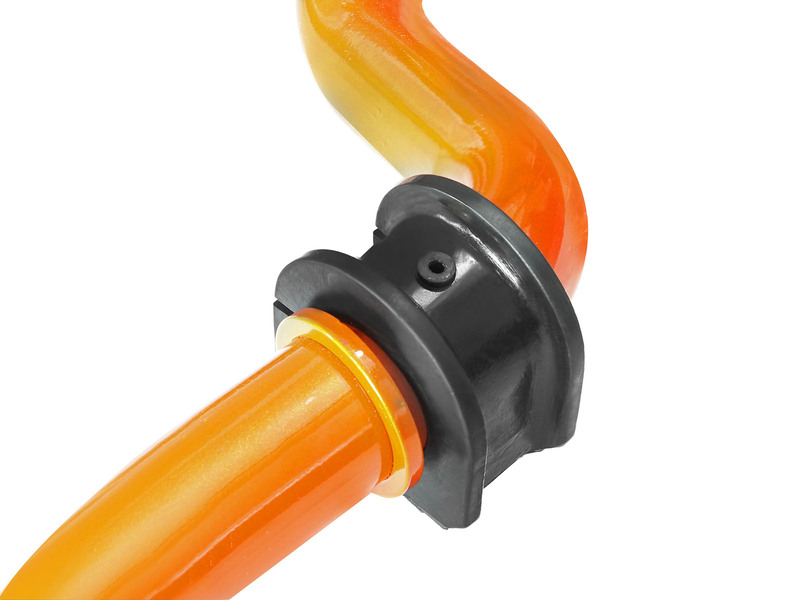 We also feature a Y-pipe with 2-to-1 mitered split to increase air flow. 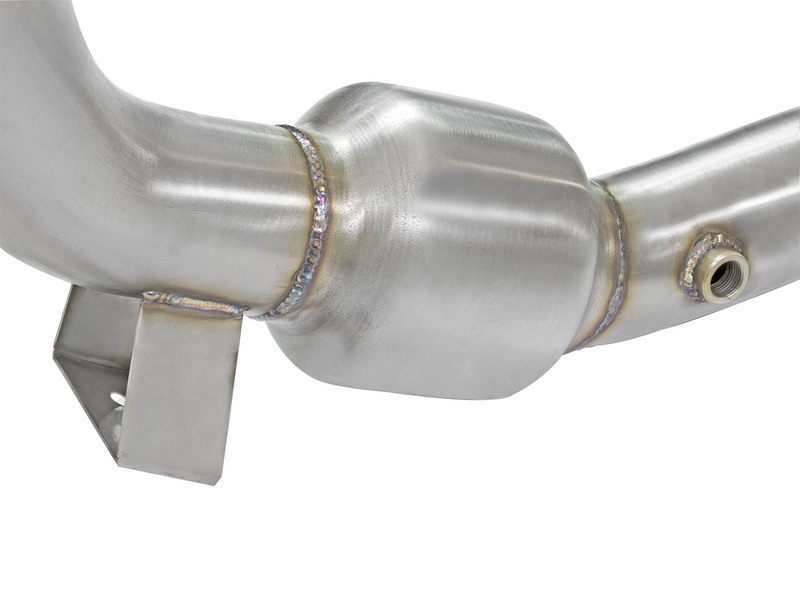 Our exhaust system is perfect for stock and modified EcoBoost Mustangs, delivering impressive sound and performance. When Ford began using the “Drive-by-wire” throttle body system in 2001, a lot of people cringed. What this meant was the electronics between the accelerator pedal and motorized throttle body must interpret what your right foot does, and ultimately decides how the engine will respond. Although advanced in it’s technology and engineering, many of us agree that the Drive-by-Wire equipped Fords feel unresponsive and lack the crisp, sharp throttle response that older Fords had with traditional throttle cables. That’s where the Sprint Booster comes in. 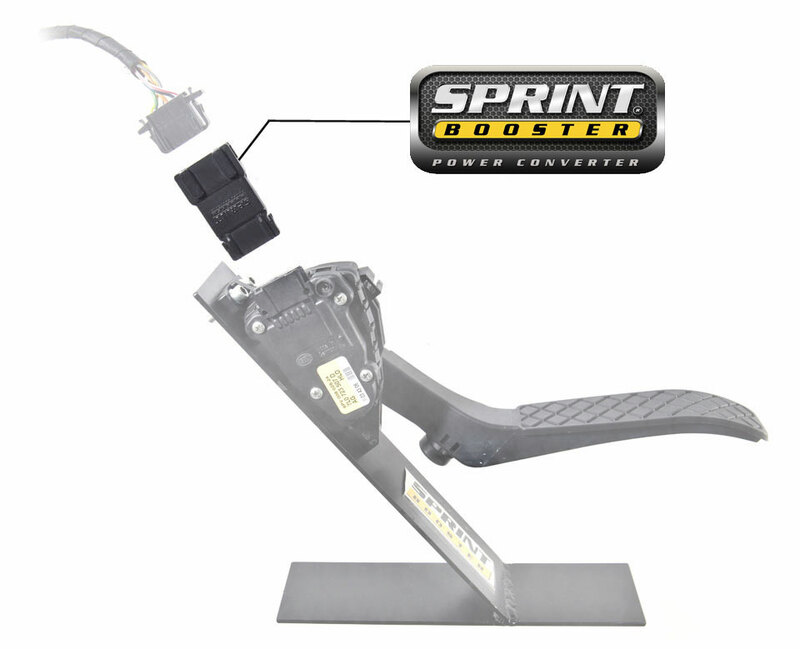 The Sprint Booster is an in-line “plug and play” module, which remaps the Drive-by-Wire throttle curve to be much quicker than the stock programming. It removes the “lag” or delay that exists in the stock electronic mapping. 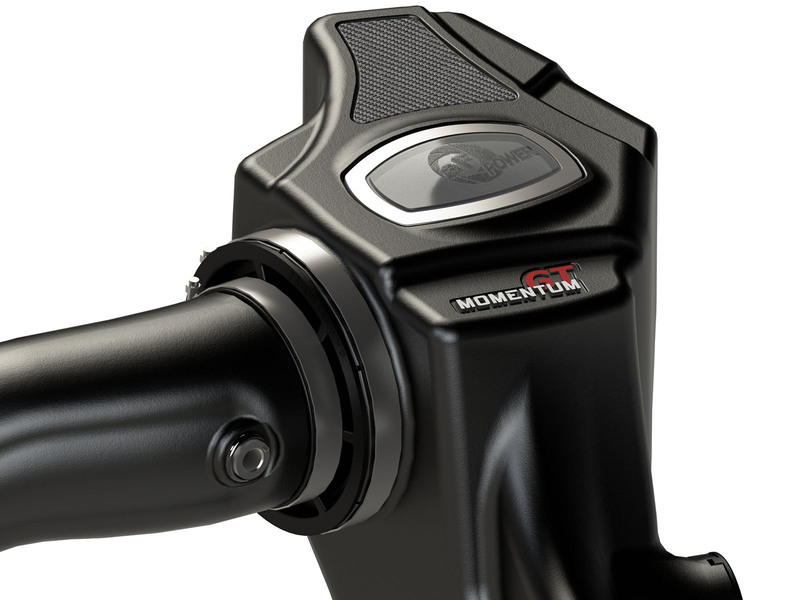 The result is sharper, faster throttle response and immediate power delivery. Power is half the equation, you need control to keep it all glued to the blacktop. aFe POWER has coilovers designed for the Ford Mustang S550 to enhance dampening and capable of high cornering loads and heavy braking. 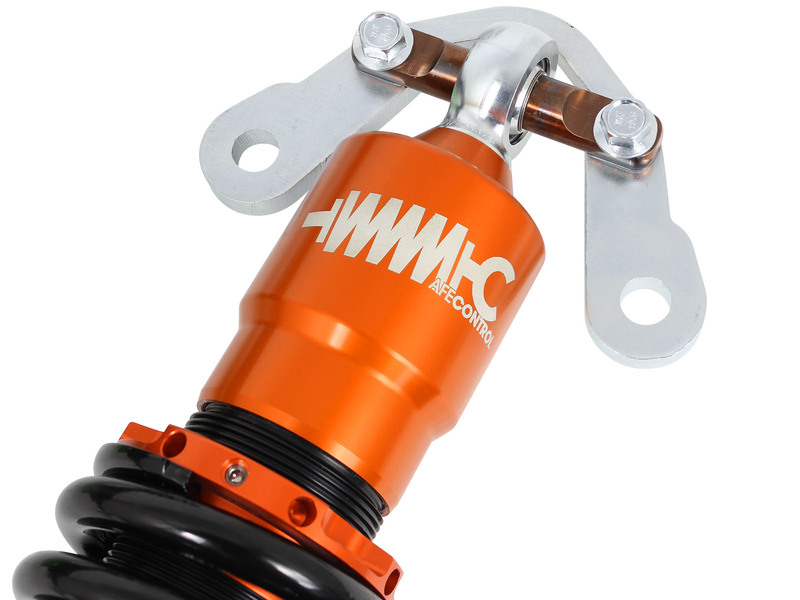 Our coilover features an inverted mono-tube design which places the damping adjuster on the bottom of the shock, allowing for quick and easy adjustment. 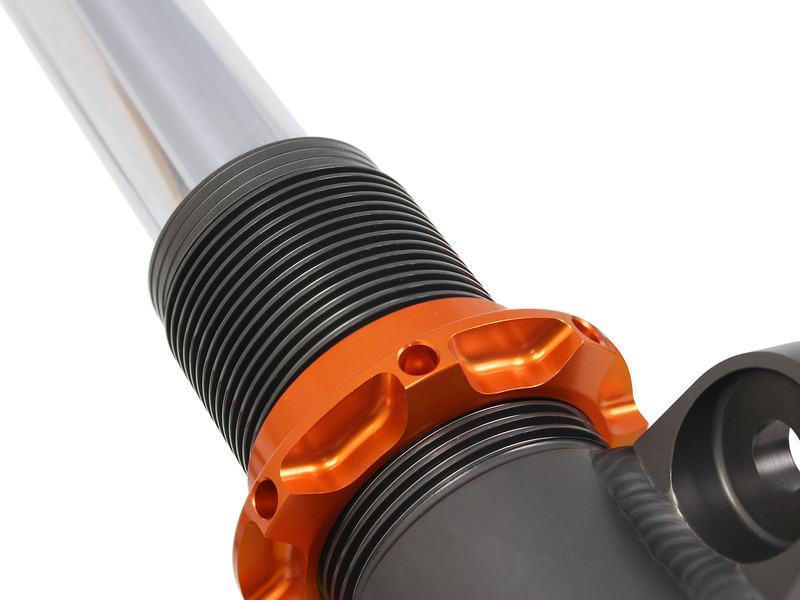 In the rear, CNC machined 6061-T6 aluminum ride height adjusters are used to maintain the factory spring location for quiet operation and strength. We also feature the CIRC (Concentric Integrated Remote Canister) system that more than triples the gas volume over a standard coilover. This results are in a consistent operation over a wide temperature range and throughout the stroke of the shock. Anyone can make a stiff sway bar, but to provide a perfect balance is another story. 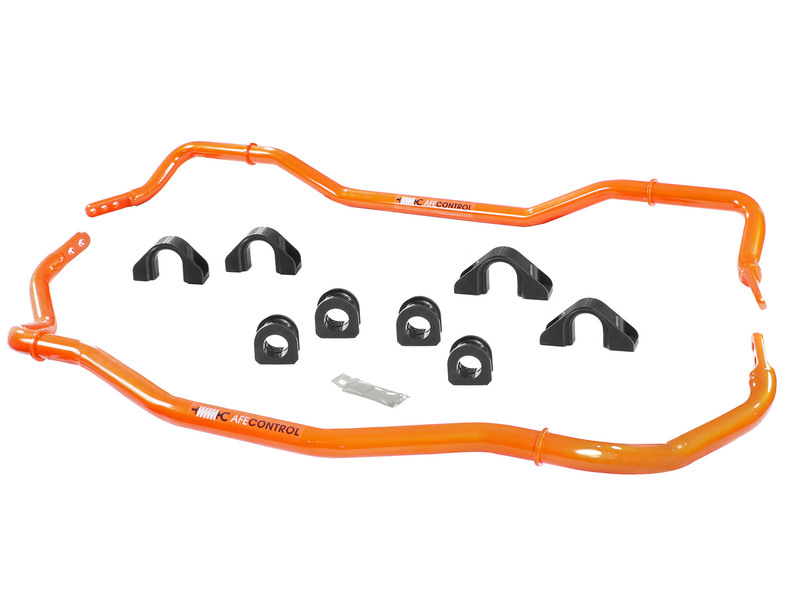 Take your daily driving experience up another level with our front and rear sways bars. By pairing a proper sized bar to the front and rear, we can offer increased roll stiffness without upsetting the vehicle’s natural balance and traction control systems. 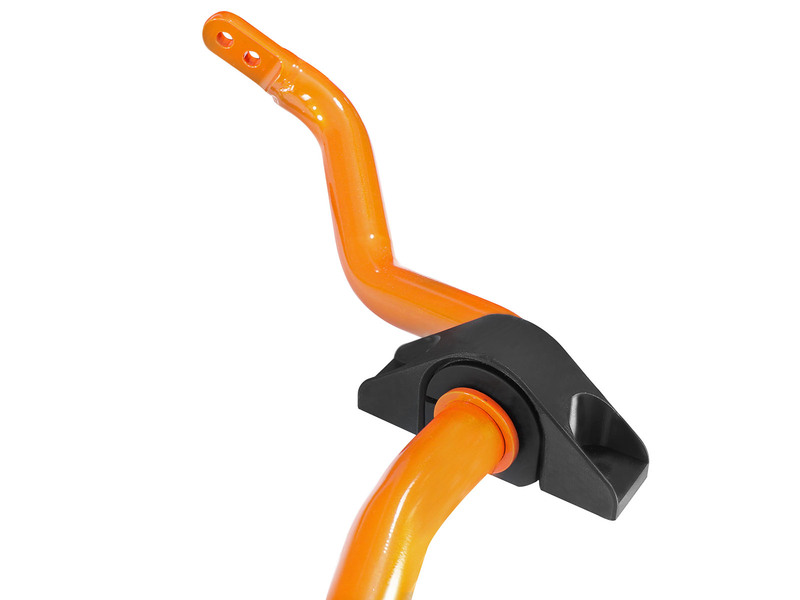 We test all of our sway bars to ensure proper fitment and a hassle free install. 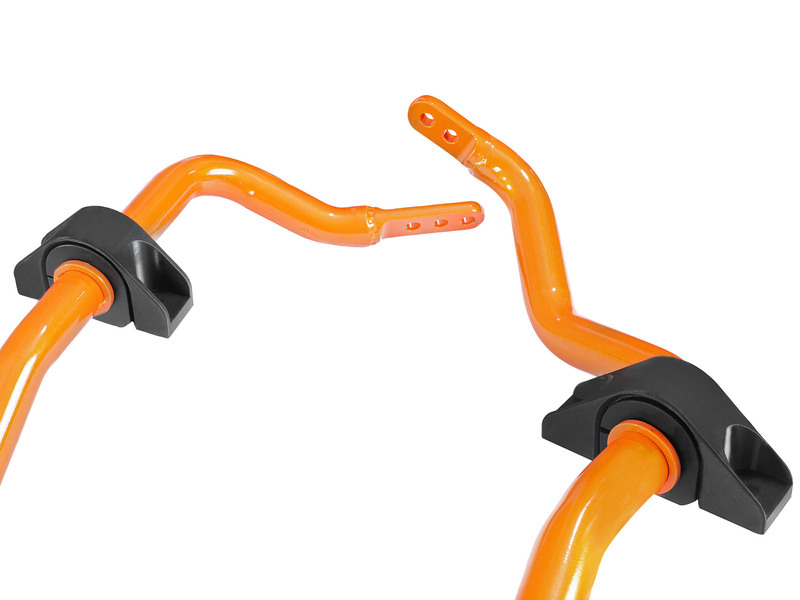 TIG-welded ends ensure maximum durability along with our stage-2 orange powder-coat which maintains a long lasting finish. 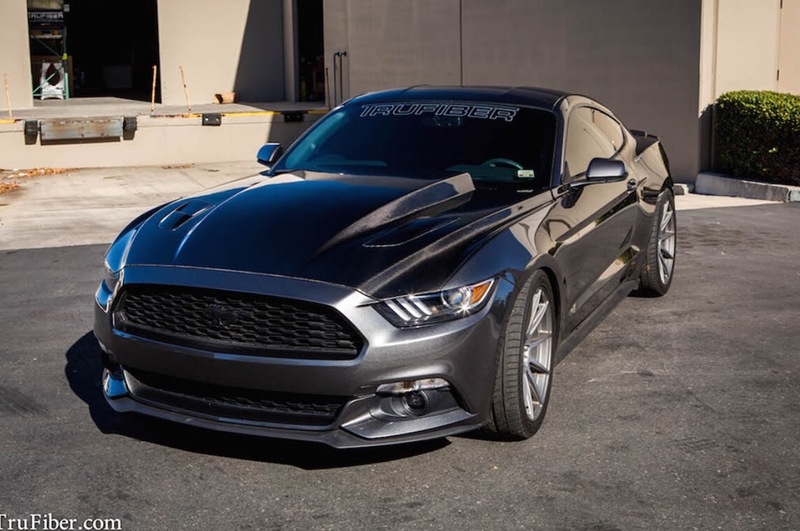 Our lowering springs will bring many benefits to your Ford Mustang GT S550 such as improved handling, looks, aerodynamics, enhanced response, and stability. 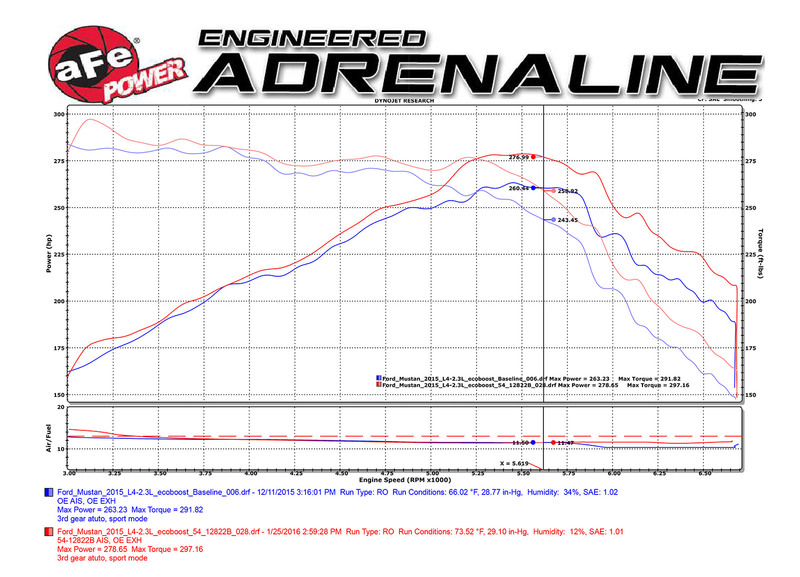 aFe CONTROL Lowering Springs offer cornering confidence without adversely affecting the OE ride quality. 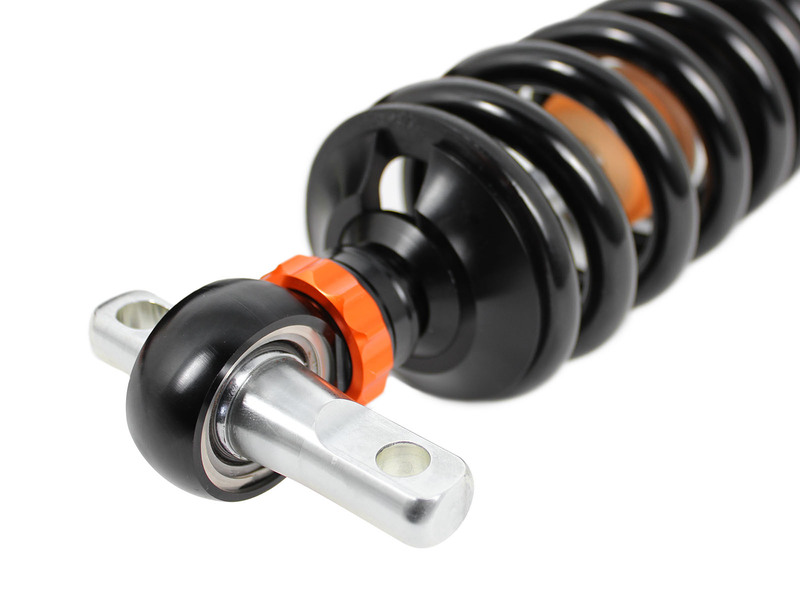 All of our springs are offered as a direct fitment to your vehicle, and will not require any modifications to the original equipment for installation. 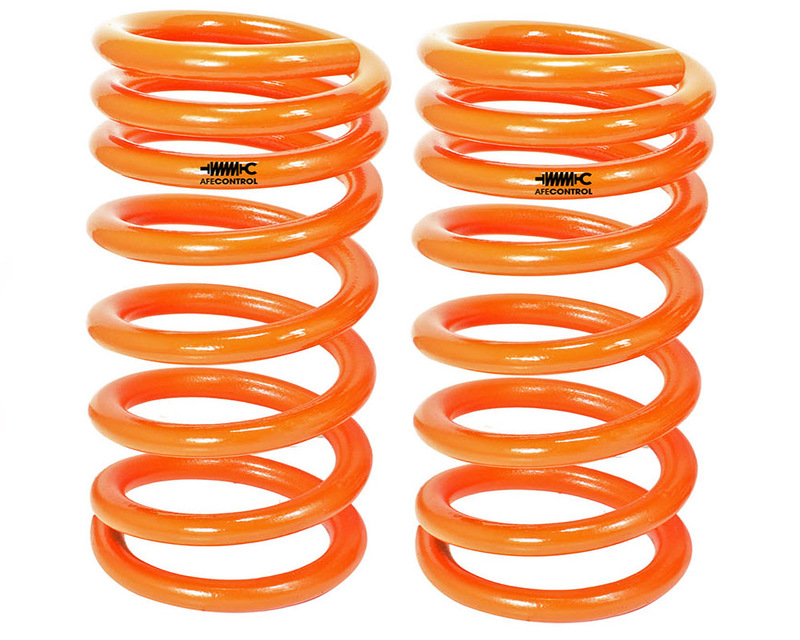 We powder-coat our springs in a brilliant orange finish for increased durability and unbeatable long lasting looks. 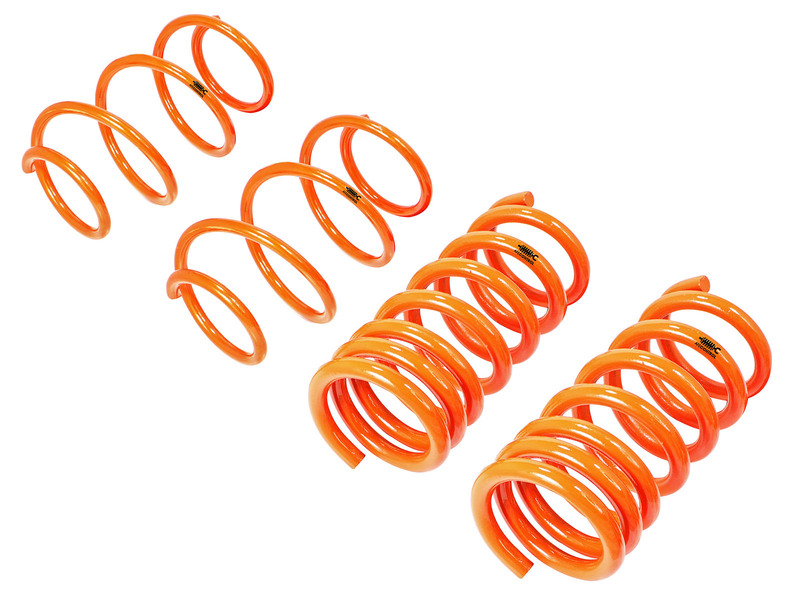 Front Springs are Linear 190lbs./in and the Rears are Progressive 550-750 lbs./in. 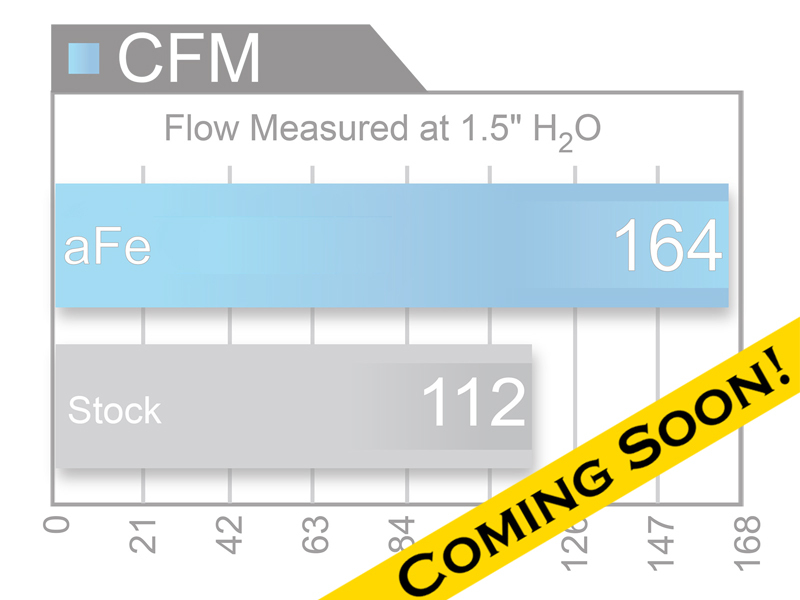 Constructed of 100% polyurethane, our high flow OE (Original Equipment) replacement filter will outflow the stock filter by 46% for improved horsepower and torque. 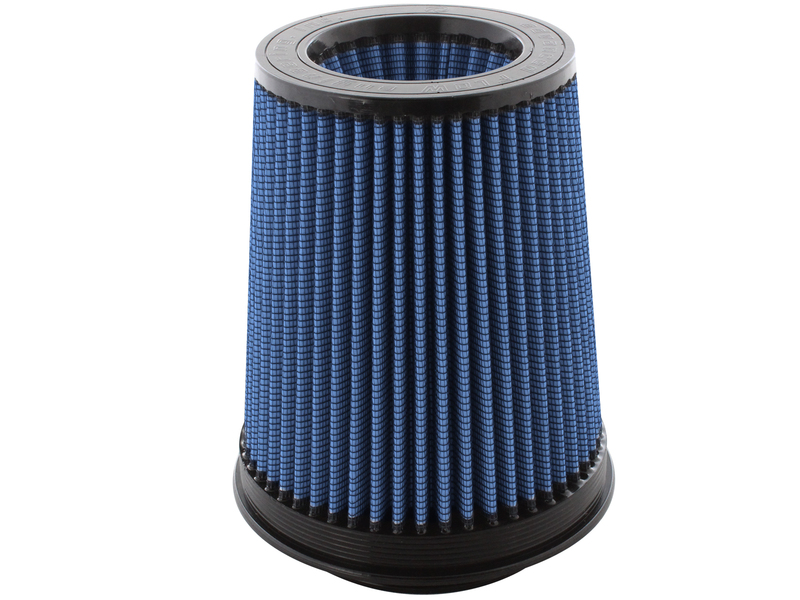 Our replacement performance air filter is made to provide maximum airflow for the best results. Washable and reusable for multiple cleaning cycles, tall, open and evenly spaced pleats provide excellent dust holding capacity for a longer service cycle between cleanings. 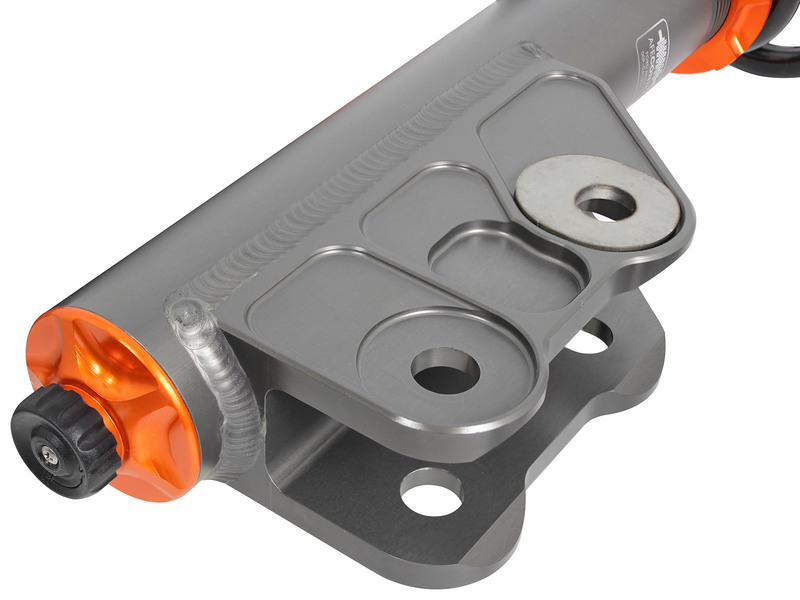 An integrated urethane bump seal insures a tight, no leak seal over the life of the filter. 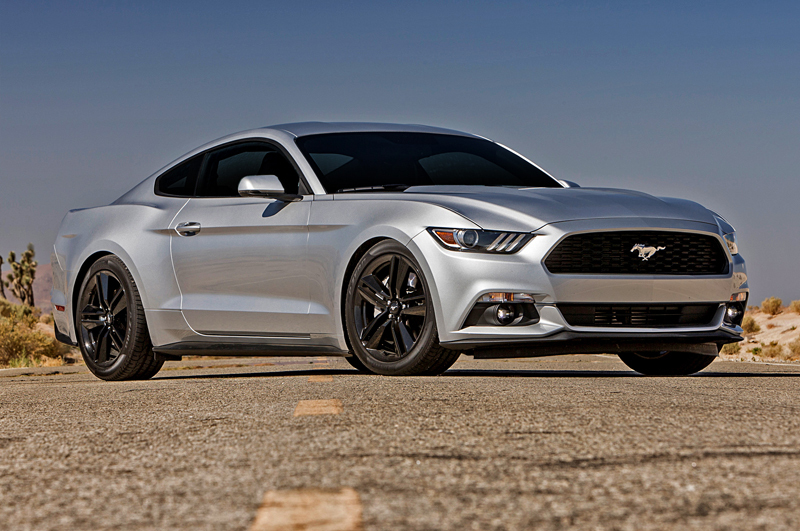 aFe CONTROL offers lowering springs for the Ford Mustang V6/EcoBoost S550. Transform the way your Mustang feels and looks while keeping a smooth OE ride quality. 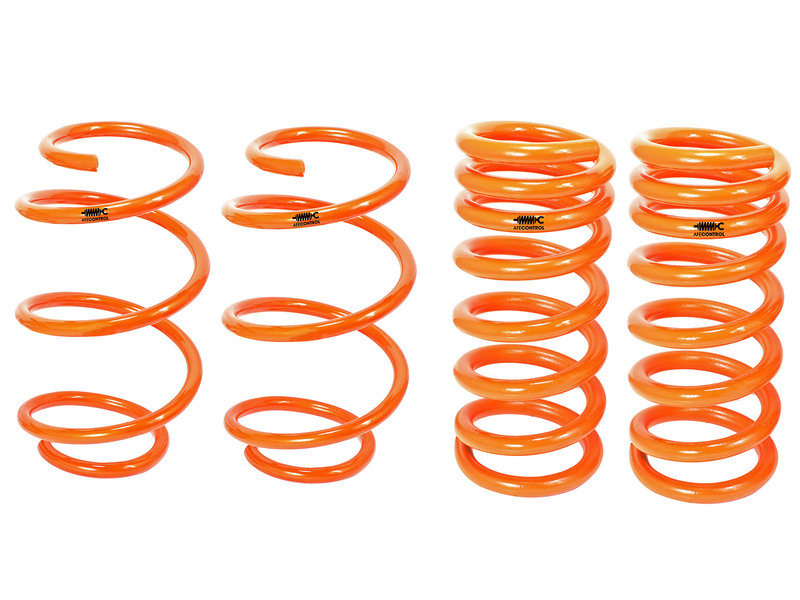 Our lowering springs will inspire cornering confidence, improve aerodynamics, and improve steering response. 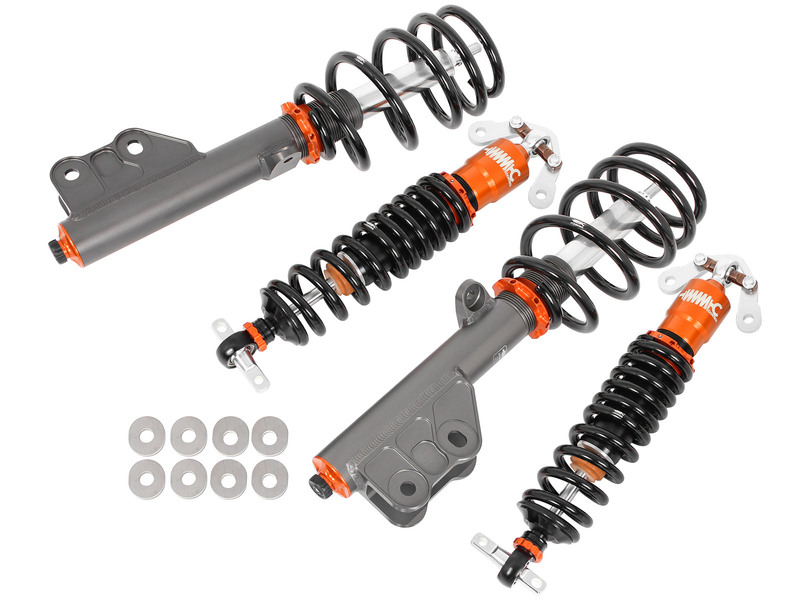 aFe CONTROL offers lowering springs as a direct fit to your vehicle, and will not require any modifications to the original equipment for installation. 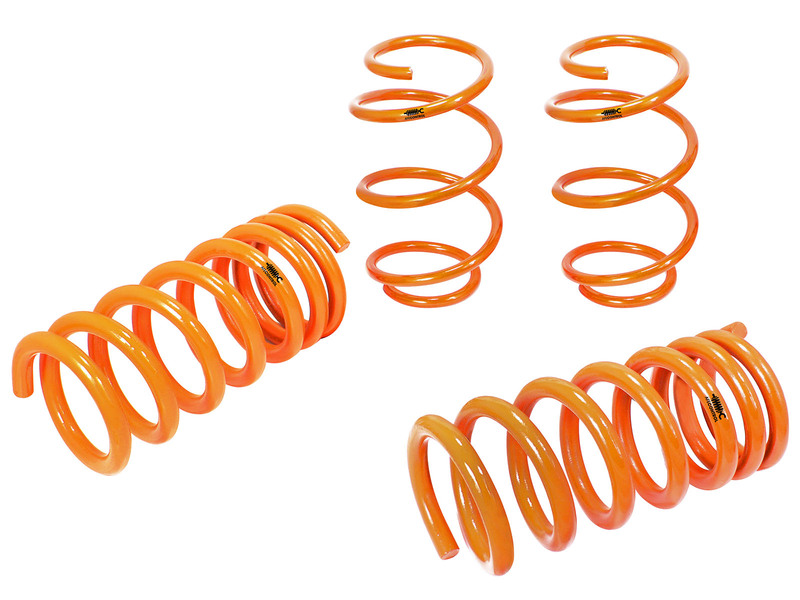 We powder-coat our springs in a brilliant orange finish for increased durability and long lasting looks. 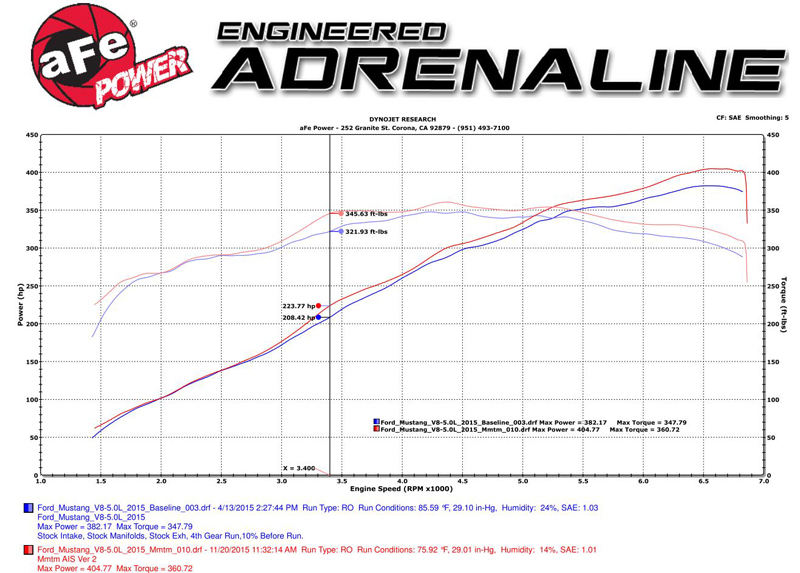 aFe POWER Setting 2015 Ford Mustang GT Lap Record at Laguna Seca!